Kofi can’t sleep in his new home in the United States, so his older sister Abena soothes his fears about life in a different country by telling him two folktales from their native Ghana about the nature of wisdom and perseverance. The stories that Abena tells Kofi in the book are stories that Kofi Obeng, a friend of the author, told her children as they grew up. Character – Abena is the loving older sister who tries to help her younger brother, Kofi, fall asleep by telling him tales from their home in Ghana. Both children are nervous about starting school in America. Illustrations – The illustrations help to differentiate between the folk tales that Abena tells Kofi and the actual story. Writing – Write about what helps you fall asleep when you are nervous about something. Folk tales – This picture book has the older sister sharing folk tales from their native Ghana. Find other folk tales to read with the class. In Kurtz’s (Fire on the Mountain) reassuring bedtime tale, a girl puts her younger brother at ease in a strange place with stories from their homeland. It’s their family’s first night in America after emigrating from Ghana, and Abena’s little brother, Kofi, won’t let her sleep. To reassure Kofi and to regain her own sense of confidence, Abena tells two stories, one about Anansi, the other an Aesop-like fable. With each one, Isadora (Ben’s Trumpet) shifts the setting from Abena’s bedroom, bathed in the deep blue and lavender hues of night, to sunbaked landscapes of West Africa. The first story finds the trickster Anansi with worries of his own, which he tries to assuage by hoarding the world’s wisdom in a pot; in the second, a determined turtle proves that no obstacle is too great when a friend is in need. Kurtz beautifully captures the way an age-old oral tradition emerges in the lilting, playful cadences of Abena’s voice. “Don’t worry,” she says, when Kofi asks whether Anansi is going to play a trick on them. “If he is, we’re ready. I’m very tricky, myself.” But what really shines through, thanks to Isadora’s velvety pastels, is the us-against-the-world bond between the siblings. Their physical ease with one another, and the warmth that passes back and forth between their dark eyes, make the old clich ring true: home is where the heart is. Ages 5-up. (Jan.) Copyright 2005 Reed Business Information. PreS-Gr 2-An affecting story about family love and finding the courage to face new situations. Abena wakes to discover her younger brother, Kofi, in her bed. He can’t sleep, afraid that a giant mampan lizard has followed him to America from Ghana. He’s afraid, too, that he will forget the grandmother and cousins he left behind. Abena comforts him with two Ashanti tales. In the first, Anansi thinks he has collected all of the world’s wisdom in a jar, only to learn that it can come from a young child. In the second tale, Vulture learns from slow-moving Turtle that, “When you think you are laughing at somebody else, that somebody turns out to be yourself-.” Afterward, Abena confesses that she is worried about her new classmates. Kofi reminds her of Turtle’s quiet perseverance, and the girl is impressed with her brother’s wisdom, bringing home the stories’ messages. Kofi finally falls asleep, comforted by his sister’s assurance that they will always be a family, no matter where they live. The pastel illustrations are evocative and vibrant, capturing the warmth of Ghana and the cool darkness of nighttime in America. The juxtaposition of bordered and borderless art keeps the story-within-a-story format clear and easy to follow. 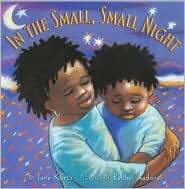 A strong addition to any collection, this book is a must-buy for communities with African immigrant families.-Suzanne Myers Harold, Multnomah County Library System, Portland, OR Copyright 2005 Reed Business Information.